Heckfire is another iteration of the popular genre of real-time strategy MMO that games such as Clash of Clans have unwittingly created. Heckfire opens with some decently witty dialogue encouraging you to destroy the hordes of goblins that have taken up residence in your village. Some few clicks here and there and you’re suddenly destroying the goblins and being able to build a barracks there. The combat is built up to be an exciting and interesting display of tactical brilliance but instead, you are created with a momentary bit of scuffling on your phone screen and then a pallid “victory” screen. Heckfire suffers from the problem that all games of this genre exhibit – the inability to carry through on its promises. The in-game dialogue and storied experience make the action out to be something particularly interesting and fun, but instead, you just get some pixels. The in-game dialogue and storied experience make the action out to be something particularly interesting and fun, but instead, you just get some pixels. In reality, Heckfire is about the town management – build farms here, use the food to recruit soldiers there, and then send them to fight monsters over there. Heckfire’s method of changing up this gameplay is the inclusion of dragons – you can train dragons to help fight in your armies, giving you a greater spectrum of player agency when deciding how you want to fight your battles. Your dragons are fully upgradeable, as well customizable, meaning that the player can beef up their fire-breathing monstrosities to their heart’s content. The main attraction to Heckfire over other games in the same genre, besides the previously mentioned dragons, is the humor. A great deal of effort has clearly been made at hiring writers to come up with funny lines to keep the player engaged. The official description of the game ensures that your troops come “complete with mustaches!” and various characters possess surprisingly funny names and witticisms. Ultimately, Heckfire is just another iteration in this ever-producing cycle of RTS MMOs. They are born out of a desire to copy those around them, they flounder a little bit on the app market, maybe reach Top 10 for a while, then die. They are born out of a desire to copy those around them, they flounder a little bit on the app market, maybe reach Top 10 for a while, then die. 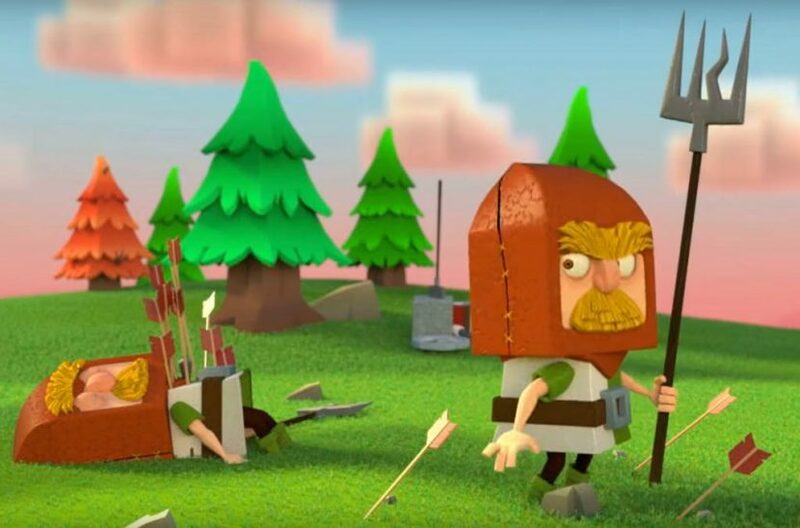 Heckfire tries to do something different by encouraging the player to laugh along with the developers, hoping that the player will look beyond the slightly out of balance and seemingly incomplete town building options. As an RTS MMO, Heckfire is but one of many, but as an experience that makes you laugh, it’s not too bad.